Nina Louise Morrison is a theatre generator: playwright, director, deviser, dramaturg, actor and teacher. She loves hearing new pages of new plays out loud for the first time, brainstorming on blackboards, and creating great reckonings in small rooms. 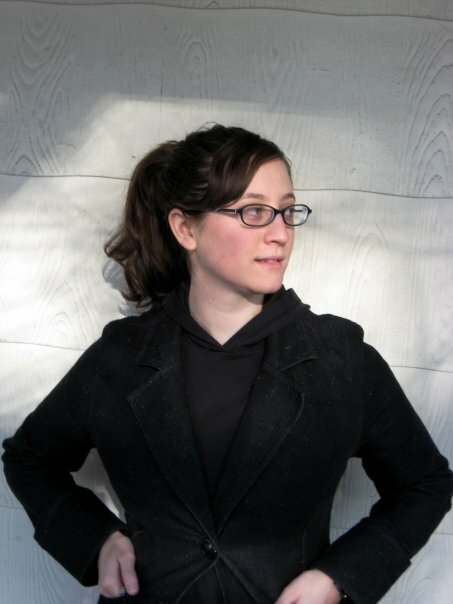 She is a Massachusetts Cultural Council Artist Fellow, Huntington Playwriting Fellow alumnus at the Huntington Theatre Company, and winner of the 2016 Boston Project commission at SpeakEasy Stage Company. Her plays include Forever Home, Born Naked, Google Doll, Mad Props, The Textbook Lady, House Rules, The Red Plague, Constitution and Three Patriotic Acts. She is a core member of Project: Project and Rhombus. Her plays have been developed and produced by the Huntington Theatre Company, Project: Project, Fresh Ink Theatre Company, Company One, Bostonia Bohemia, Brandeis Acting Company, Wax Wings Productions, Boston Playwrights Theatre, Kitchen Theatre Company, Columbia Stages, Saltbox Theatre Company, WOW Theatre Café, Free Hands, Our Voices, SLAM Boston, One Minute Play Festival, Interim Writers and The Mad Dash. She is a Richard Rodgers Fellow, a Shubert Foundation grantee, and was a semi-finalist for the National Playwrights Conference in 2014. Before moving to Boston, Nina was the Senior Program Associate at the Philadelphia Theatre Initiative at The Pew Center for Arts and Heritage. Training: MFA Columbia University, the National Theatre Institute at the Eugene O’Neill Theatre Center, the New Actors Workshop, and Oberlin College. She has taught at the Vermont Young Writers Conference, Mount Ida College and American International College. She currently teaches playwriting and screenwriting at University of New Hampshire, Northeastern University, and Grub Street.